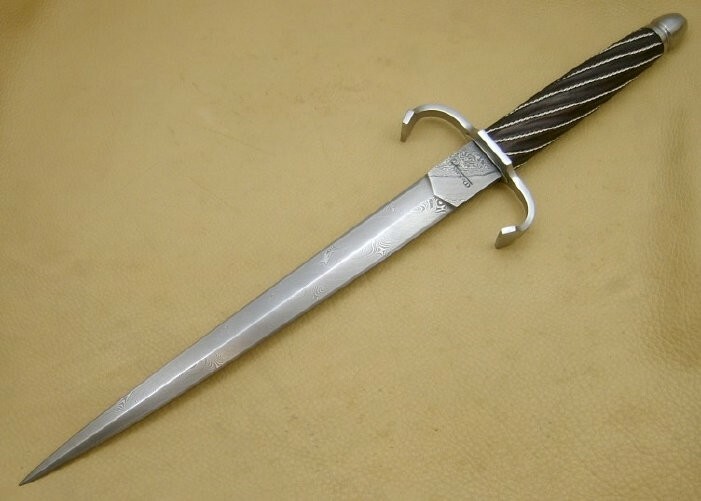 Daggers like this one were used in tandem with the rapier during the middle ages an for a time after that. And what a deadly combination it was. Dressed as this one is, it would certainly have been a knightly weapon, or an adorment for a noble.